I’ve spent a lot of time outlining this new writing contest. I wanted to do something different. I didn’t want the theme to be broad or basic. I didn’t want to toss out simple story ideas with simple points of focus like werewolves, or vampires. That all felt too… easy. This one won’t be so easy. However, it is going to be a blast, especially if you’re a fan of horror cinema. In fact, you kind of need to be a fan of horror cinema if you want to leap into this particular pool. Write a story, no more than 4,000 words in length about Michael Myers, of John Carpenter’s Halloween franchise. To be even more specific, you’re going to be writing a piece designed to fit within or even make out the entire plot of the upcoming Halloween film, Halloween Returns. It’s up to you how you do this. Maybe you cover a small story arc that could be well executed on screen. Maybe you feel really daring and want to attempt a far grander story, telling the whole narrative you’d like to see from Halloween Returns. It has to be written as a sequel within the franchise. Again, where you start precisely (you could choose to pick up the reigns directly after John Carpenter’s original first film, or even Rick Rosenthal’s 1981 sequel. If you wanted to get real crazy, you could even pick up where Rob Zombie left off) is entirely up to you. 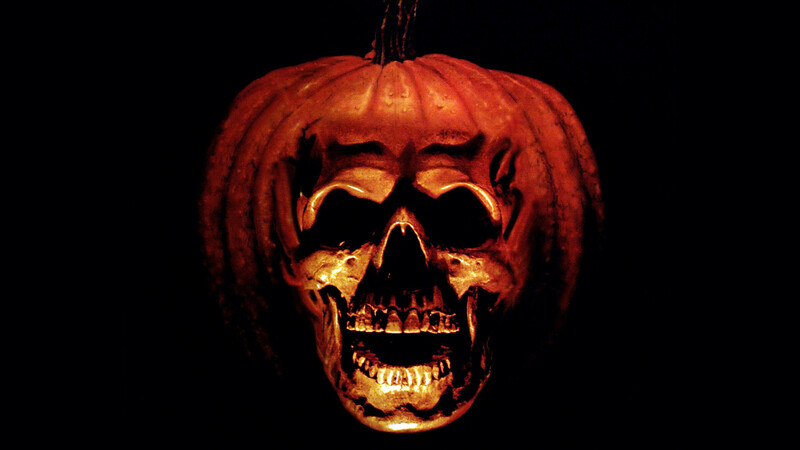 The story must take place on Halloween night, in Haddonfield, Illinois. As long as the story fits in the Halloween cinematic universe, and features Myers in Haddonfield, your possibilities are only as limited as your imagination. We don’t care what direction you take, as long as you keep things Halloween. Creativity – If you can deliver a big story within 4,000 words, and you’re willing to step out on a limb and avoid playing it entirely safe, you’ve got an edge in the competition… especially if you come up with some crazy refreshing ideas. Fear Factor – The scarier the story, the better. Fluid writing – Let your story flow like water. Whether mind boggling prose or just a smooth, speedy story, make it feel fluid and natural. A banner on the main page to promote anything you’d like to promote (within decency, of course), which will run for 30 days. Your winning story featured on the site. Now, as you should be completely gathering right now, you’re basically crafting a piece of fan fiction here. Fan fiction cannot be sold, but it can be given away. If I see 15-20 amazing stories come in, we’ll put together an anthology and toss it to the masses as a free download with some nifty artwork to load up on the handheld devices. And trust me, people will flock to it. I’ve been in this field long enough to know what grabs the fans’ attention, and anything Michael Myers during Halloween time is going to blow the doors off the joint. Especially if it’s a consistently strong piece of work, which is the only thing we’re going to release. If we don’t release an official fan fiction anthology, we’ll feature the three best runner-up entries on the site as well. The Deadline is already closer than I’d like. But that’s the way the cookie (and scheduling) crumbles. Guys, you’ve only got 30 days to get this done. Come October 15th no new submissions will be accepted. We’ll announce the winner on October 20th. If we’re good to run with a fan fiction anthology, we’ll have that available to you on the 22nd of October. Keep in mind you won’t really keep much of anything in the way of rights, as you don’t own the Halloween rights. Good luck. If you have questions feel free to ask them right here. 14 Comments on Enter the ‘Halloween Returns’ Contest for Some Cash, a Promotional Spotlight and More! Great idea …I am so looking forward to seeing who and what comes through here. What potential for fun and creepy. Would you guys be willing to accept something that takes place prior to the events of the first movie? An example might be something taking place while Myers was in the asylum? You know, Josh… that’s an excellent question. I hadn’t really thought of a “prequel” kind of angle. I’m going to go ahead and say yes, we’ll accept that! So happy to see a new contest here. This one sounds riveting! I haven’t been writing a lot of fiction lately, but I sat down a knocked out a rough draft of 1k word piece after the three trails conference today. So I will be submitting something. I agree with others. It is nice to have a contest. Hopefully a lot of people will enter. There is a lot of different directions the franchise could be taken. I am thinking a story covering Jamie, from #’s 4&5, years after stabbing her Foster Mother. Has she been committed, is she free, or did she escape to carry on her Uncle’s work? Has she found a way to hide the bodies…? If made a movie, you could even get Danielle Harris to reprise her role as Jamie all grown up. That certainly sounds like it will work! I’m more of a H3 guy myself. Still, I’m curious–is this in anyway connected to the upcoming film or John Carpenter? while the stories will be related, it’s kind of a reimagining from a fan’s stance. Awesome. Now if I only had an idea … Halloween candy will help. Hi there, just completed my entry for this contest. Wanted to check and see if something was okay first. You wanted no more than 4000 words on this, I’m sitting at 4244. I know it’s probably not a big deal, but I wanted to ask before submitting. I’ve trimmed it down from 4600 already and its about as lean as I’d like it to be. Let me know, thanks! Unfortunately it kind of is a big deal. With such a low word count every last word matters, and just about everyone who submits is aching for an extra 250 words. I’d like to tell you it’s not a big deal and to not worry about it, but I’d then be doing that for a large percentage of the authors submitting. And that defeats the challenge of the word count limitation.